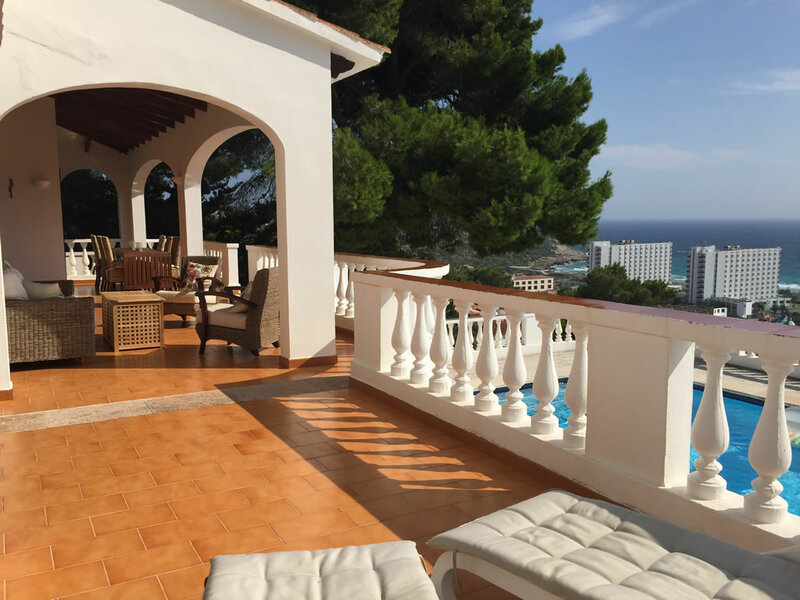 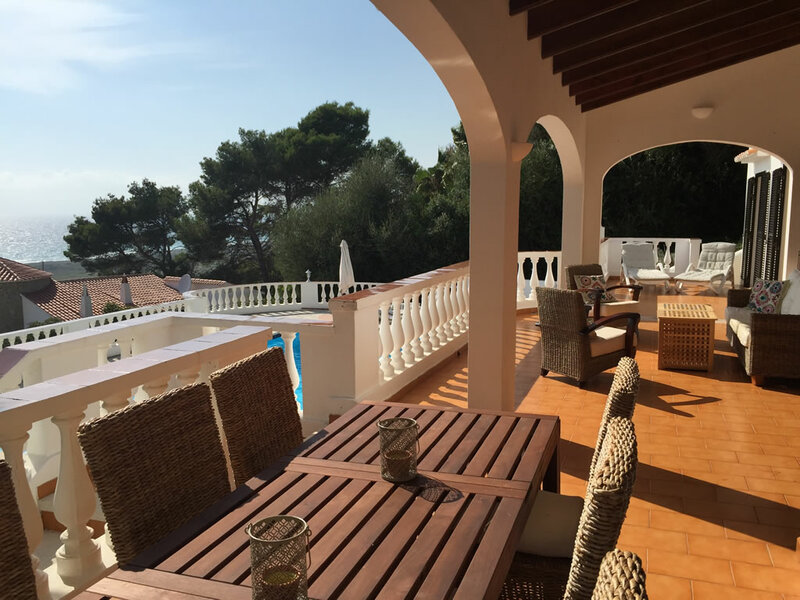 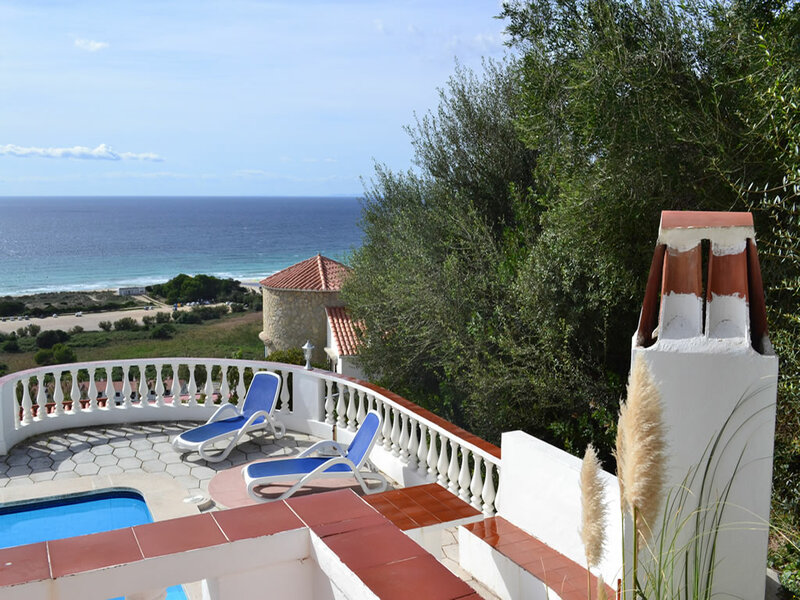 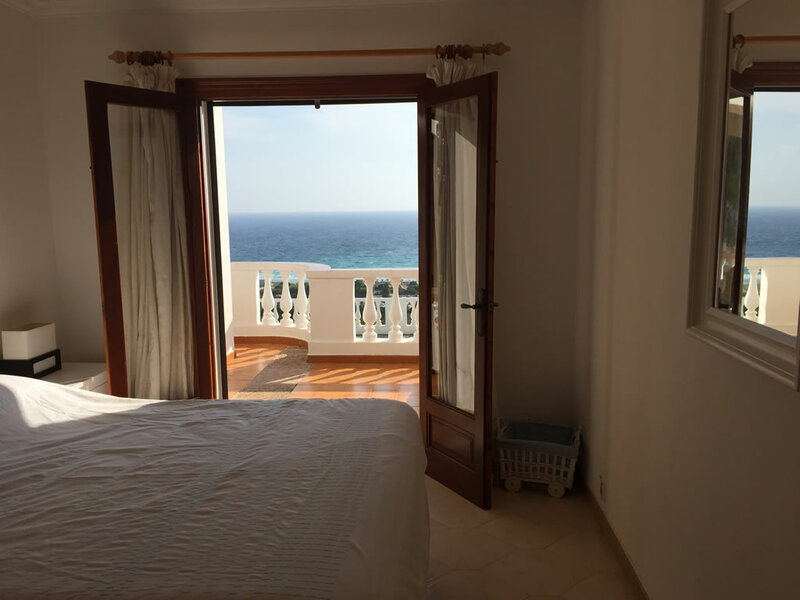 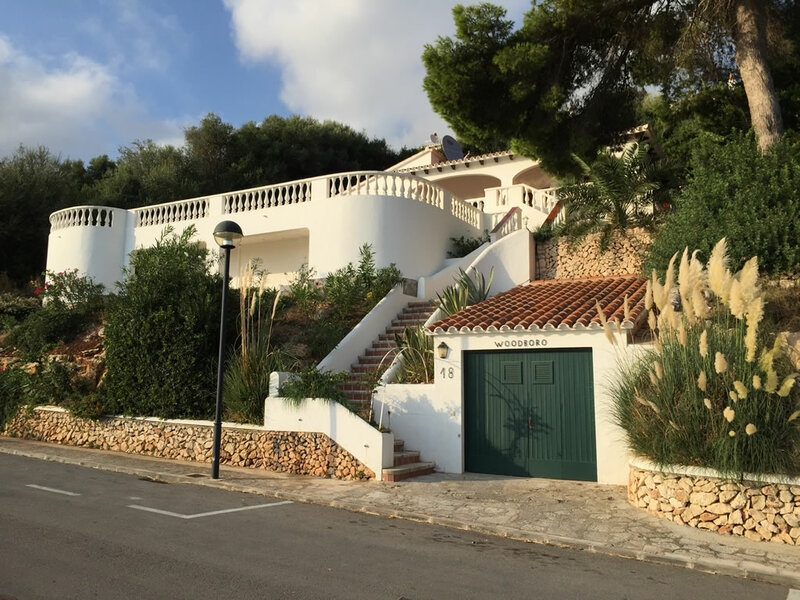 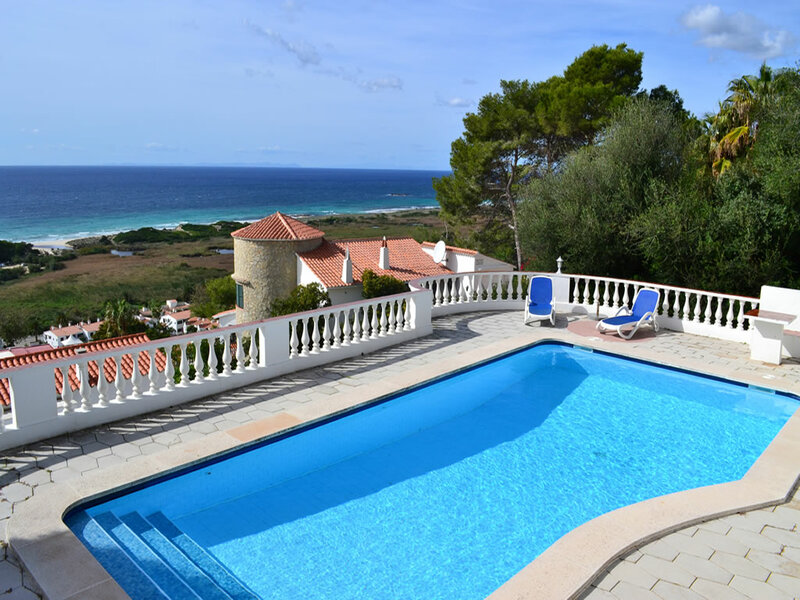 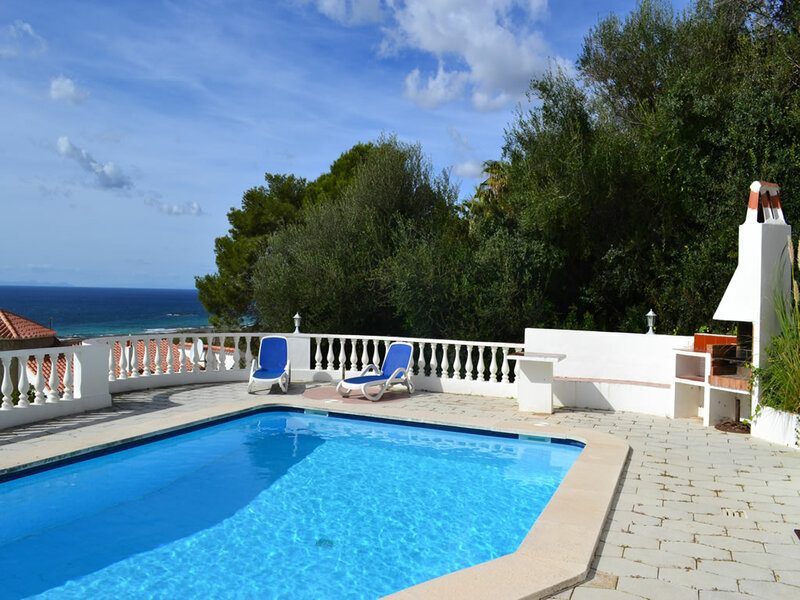 A beautiful 3 bedroom villa, built in a typical Mediterranean style, located at the top of San Jaime and offering spectacular views down to the beach of Son Bou below. 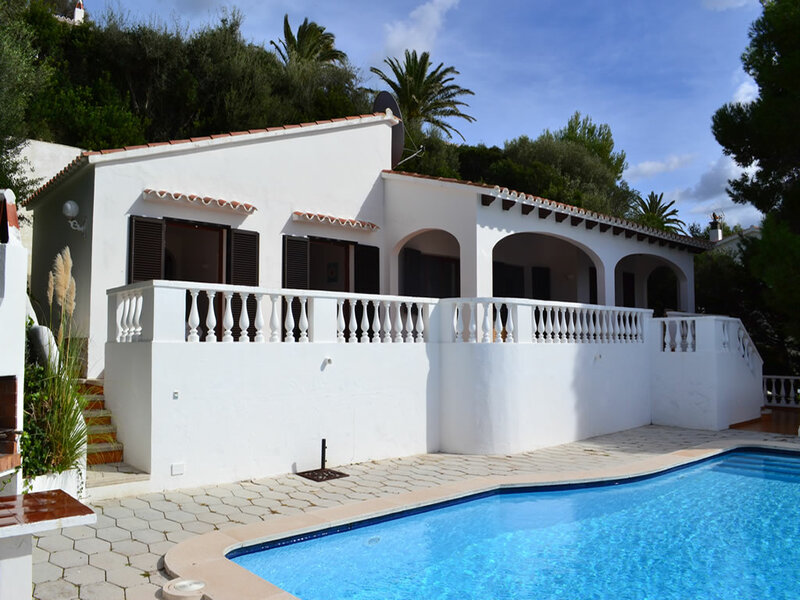 Steps lead up from street level to the spacious pool terrace with built-in barbecue, above which you will find the large covered terrace and villa entrance. 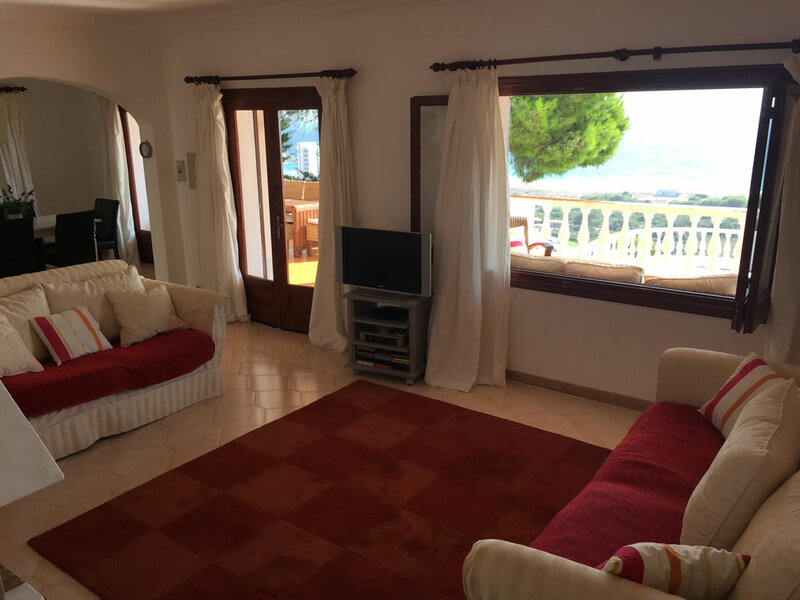 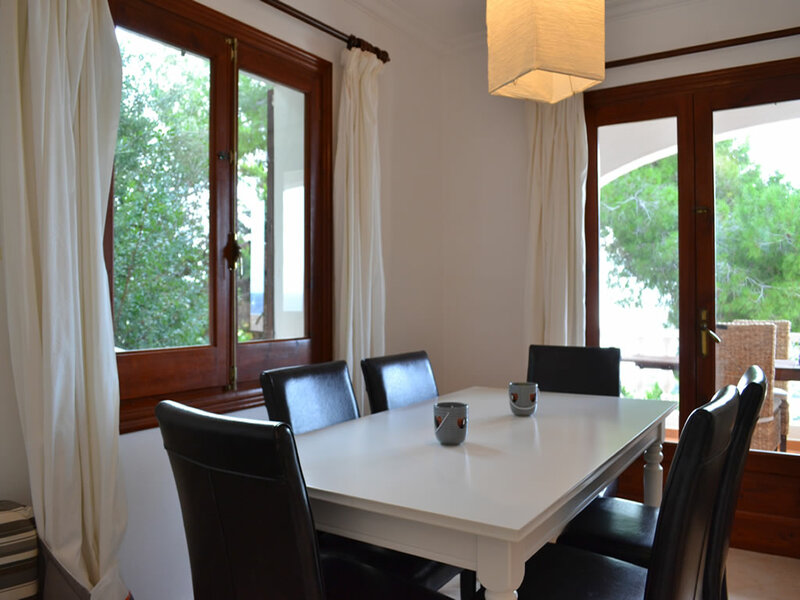 There is a comfortable open-plan lounge/dining area with television, leading through to the kitchen, with patio doors opening out onto the terrace with wonderful sea views. 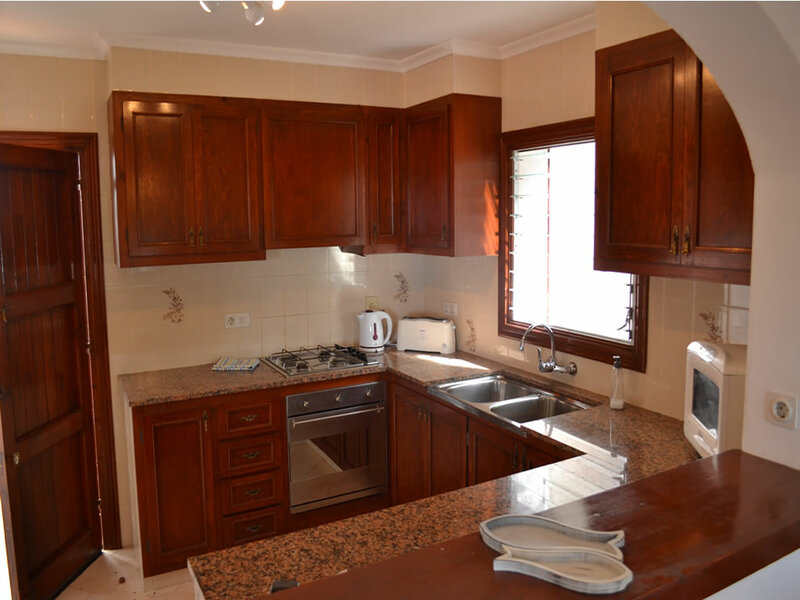 The kitchen is fully-equipped, with a washing machine and mini-dishwasher. 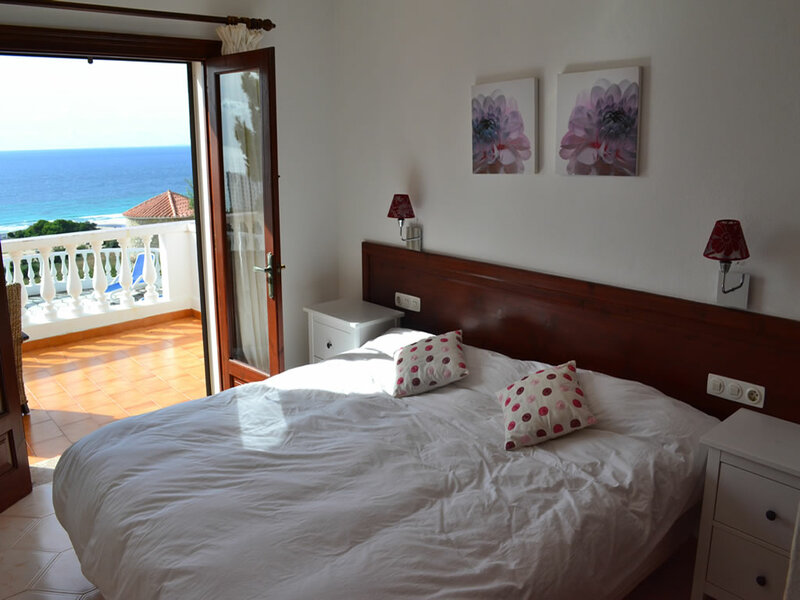 There are three bedrooms, two doubles (one of which is en-suite), and one with a single bed and bunk bed - ideal for families with children. 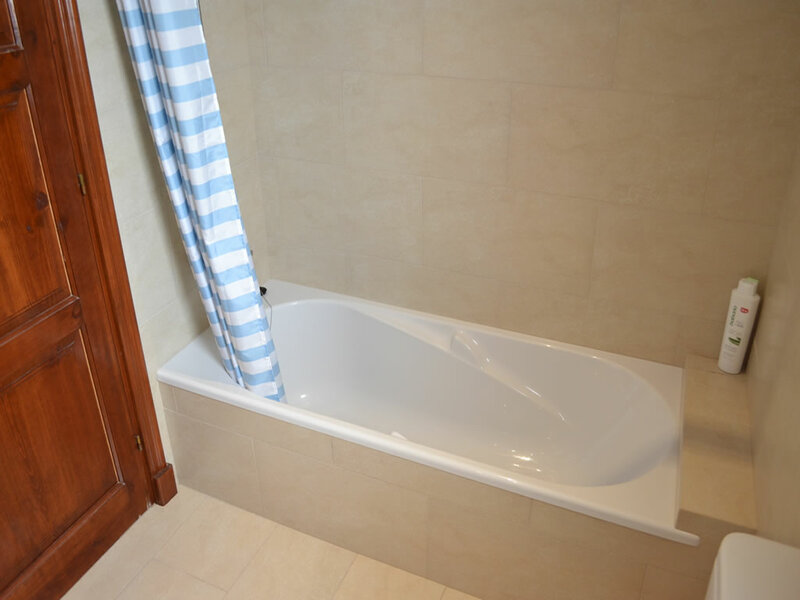 The shared bathroom has a bath, whilst the en-suite bathroom offers a walk-in shower. 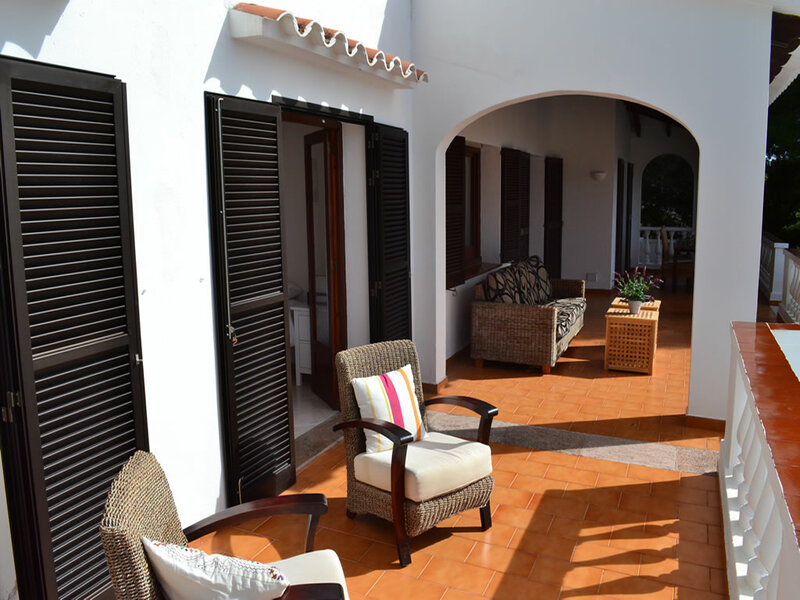 The spacious covered terrace is equipped with comfortable outdoor furnishings, ideal for relaxing and enjoying the sunset. 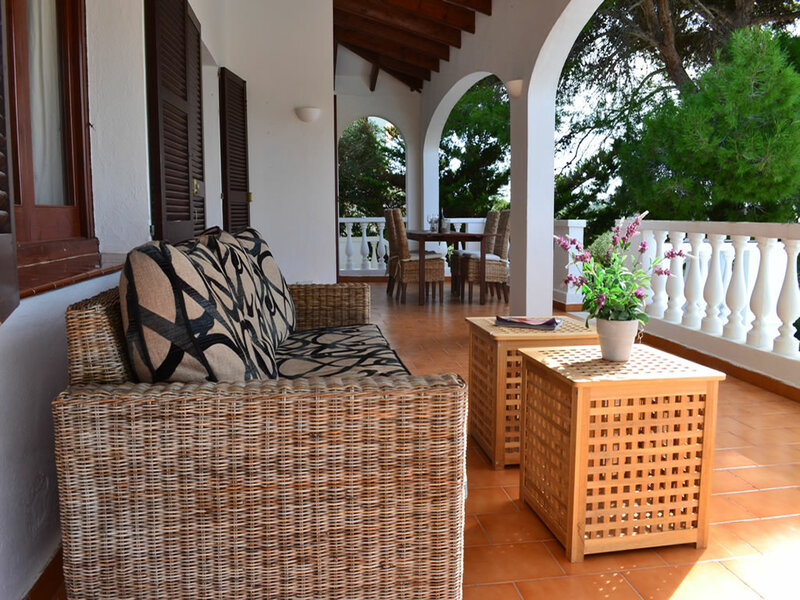 The large swimming pool and terrace area is the perfect place to enjoy a barbecue.